Mary Padian is a famous American television reality personality best known for her involvements on the Reality show “Storage Wars”. She also has her own shop called Mary finds where she displays her antique collections. Since her childhood, Padian has been a creative learner. At the time, she used to create new items out of reusable ones and then weave them into beautiful artworks. Today, her passion for creativity has really paid off. You’ll get to know more about this amazing lady here. The Storage Wars star is the daughter of Teresa Ann Padian and John Gerald Padian who are of Lebanese and Irish descent respectively. Her parents gave birth to her in Dallas Texas, in the United States on 24th August 1980. She holds American nationality. While her father is an operator of a junkyard, her mother’s sister is none other than popular Texas attorney Baddy Sassin. Padian has one brother called Luke Padian and a large family which comprises of her grandparents and 42 cousins. The successful businesswoman studied Photojournalism at the University of Texas, Austin where she later graduated from with a bachelor’s degree in the year 2003. Upon graduation, she began working in a magazine company called D Magazine as an intern, after which she relocated to New York City where she was hired as an assistant editor at Architectural Digest. She would then go on to start a video blog titled Mary’s Finds Video Blog while working at Architectural Design, where she used to sample her collections on the company’s official website. Padian left Architectural Design in 2010 and later launched her own shop in Dallas known as Mary’s Finds where she deals on overhauled items and a collection of vintage wares. The reality star started featuring as a guest on the reality TV show Storage Wars which aired on an A&E Network. Currently, she has been focusing on her flourishing business while still appearing on Storage Wars as a star. The television reality star is not the wife of any man at the moment neither has she been married in the past. Although it is hard to believe that she has no man in her life, Padian is still hopeful that she will come across her prince charming someday in the near future. According to the accomplished businesswoman, her dream is to find her true love and perfect man in California. Whenever she eventually finds her sweetheart, she dreams of giving birth to her own kids with him. There is no doubt social media platforms are the surest places to find out more about our favorite celebrities and what they are up to each time. In fact, most celebrities prefer engaging their fans more on these outlets than in real life. 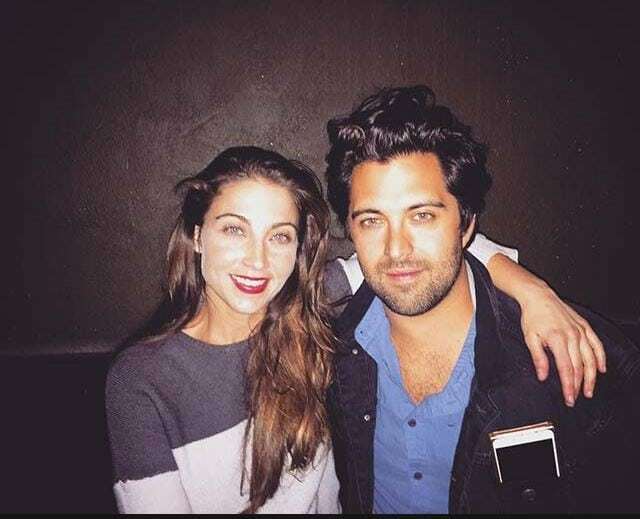 For Mary Padian, it is a different ball game – she doesn’t belong to the class of celebrities who share information about their love life on social media. Though Padian has an outspoken personality, she keeps a low profile when it comes to matters pertaining to her love life. In 2016, Mary, however, took Storage Wars viewers by surprise by introducing a mysterious young man called Dylan as her boyfriend. The two made it to an episode of Storage Wars show called Mary’s Big Score which aired on 3rd May 2016. Dylan is said to have accompanied the reality star on EI Monte’s auction. During the show, Padian told viewers that the mysterious guy is her perfect guy and that their paths crossed in Texas regardless of the fact that she hopes to meet her dream guy in California. Ever since the episode ended, nothing has been heard about Dylan and how committed he is about his relationship with Mary. The two have never been spotted at public places or events neither has the American businesswoman commented about her relationship status with Dylan. The reality television star’s asset is valued at $600,000, which she amassed from her wealth of business channels. Popularly known for her involvement in the Storage Wars series which pays her $450,000 per season, Padian also manages her personal online shop called Mary’s Finds. The businesswoman also gathers and sells antic collections such as trinkets and vintage furniture as well. She reportedly makes a huge sum of money from the trade and appears to be willing to take her businesses to greater heights. Mary Padian drives up her fame for her business as well as beauty and effervescent personality. She has an impressive height of 5 feet 1 inch and body weight measured to be 49 kg. The television reality star possesses a slim bodybuild and measurement recorded to be 32A inches (bra), 24 inches (waist), and 34 inches (hip). The sizes of the American media personality’s dress and shoe and 2 and 7 respectively.